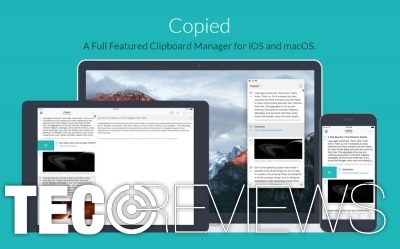 If you copy and paste a lot, probably you cannot imagine your life without Clipboard manager. This application adds functionality to computer’s operating system and might boost your productivity a lot. Probably, you have been at least once in your life in a situation when you copied the link, forgot to paste it and after a while copied another one. Indeed, that’s annoying. However, modern age offers numerous tools that can help boost your productivity and make work with a computer more convenient. 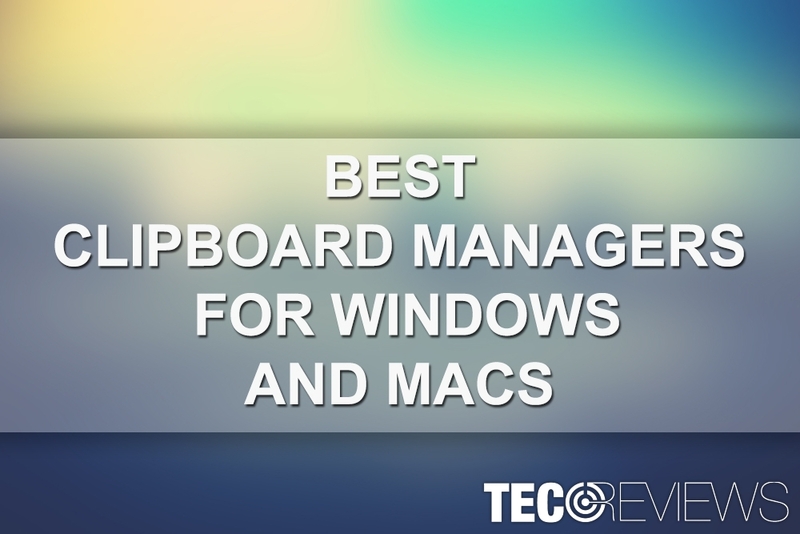 In order to help you to clipboard manager for Windows and Mac OS, we have analyzed numerous programs and user reviews and prepared the list of the best apps. The biggest advantage of this program is that it allows easily copy and paste content from one program to another without worrying about problems with formatting. Nevertheless, the program is free; it still has a premium feature. In order to use Clipboard syncing feature, you have to purchase the license. If you are concerned about the security of your data, you should be aware that it is secured with a strong 256-bit encryption. Therefore, shady third-parties cannot reach and read your information. 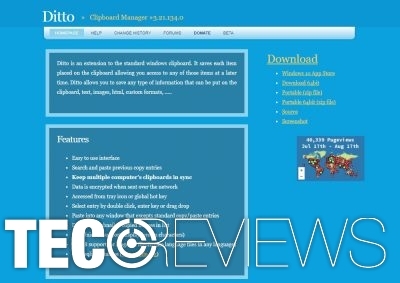 Ditto clipboard manager belongs to the category of freeware. The program allows saving various information that can be pasted into a clipboard. Thus, you can save necessary text, image or HTML files and find them using via integrated search feature. UTF-8 support for language files. Save.me clipboard managing app allows automatically save various files and access them easily. With the help of this program, you can save files, folders, images, texts, emails or URLs. This program is also free. However, developers accept and appreciate donations. However, the software has one big disadvantage. It lacks Quick Paste function. However, other features allow organizing and managing data easily and conveniently. Clipboard Master is promoted as “The Smart Clipboard Manager.” The program is available to download for free for Windows 10, 8/8.1, 7, Vista and XP. The program supports text, images, files and other content; and allows pasting it whenever you want on Windows OS. The clipboard managing app can store 10,000 entries and allows searching through them with a convenient search feature. The tool also has additional features, such as creating screenshots or managing passwords. Nevertheless, these features are not crucial or needed; it’s always nice when developers think about extended user’s needs and give more than they are expected. The software helps to save text, links, static and animated images. It allows not only copying and pasting necessary items but also sharing it via social networks or with other apps. Another significant feature is batch copying that allows copying multiple clippings to the clipboard at the same time. 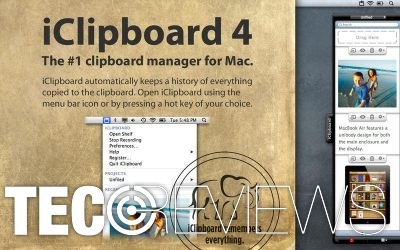 This Mac clipboard manager has a convenient and well-designed interface. What is more, iClip allows customizing it based on user’s preferences. For instance, you can try various skins or adjust the transparency. However, the main feature of this tool is assistance for those who copy and paste too much. This program is easy to use even for those who do not have high computer skills. 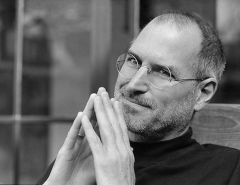 The manager saves plain and rich text, various image formats and other files. Users can also easily access their clipping history and boost their productivity! The app offers to use shortcut keys to access and manage clipboard history and paste previously saved content. The program also allows saving, managing, importing or exporting snippets. According to the Mac App Store description, iClipboard by Chronos Inc is the number one clipboard manager for Macs. The program always works in the background and saves all the data you copy and paste. Therefore, with the help of this tool, you can easily access saved information and use it. The program includes five different features how users can paste clippings. However, the most significant and convenient feature is the ability to paste several clippings in bulk at once. Therefore, with the help of different shortcuts, you can easily manage saved images, texts, and other content. 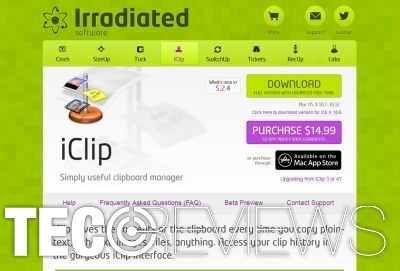 iClipboard also allows capturing clippings from other applications and limiting clipboard history. Therefore, you can set for how long the app can store saved data and when it’s time to get rid of the clippings. We have to admit that they do not lie. The program automatically detects the type of the content and saves it particular category. The programs have unlimited history, so you can access some pictures or links you saved months ago. The functionality of the program is really convenient. However, there’s one minor disadvantage of this clipboard managing program. It’s not for free. It is available on Mac App Store and Setapp for $9,99. However, if you are wondering if it’s worth money, you should take advantage of a free trial. ^ Justin Pot. Hold That Thought: 5 Reasons You Need A Clipboard Manager. MakeUseOf. The website about technology and gadgets. 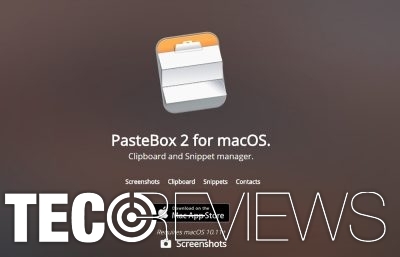 ^ What are the best clipboard managers for Mac OS X?. Slant. The website provides various recommendations. ^ Milan Stanojevic. 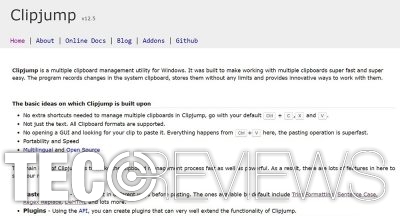 10 best Clipboard managers for Windows 10. Windows Report. Windows 10 and Microsoft News, How-to Tips. ^ 256-Bit Encryption. Techopedia. Technology terms dictionary. How to Restore Mac to the Earlier Date? What stands behind Windows 10 Wi-Fi connectivity issues? How to set smartphone permissions wisely?